Do you have a Small Business that provides export growth and/or import substitution for the domestic economy ultimately leading to job creation on the island? The Small Business Grant Scheme is to help accelerate the growth of small businesses (1 to 10 employees). The main objective of the Scheme is to encourage job creation on the Isle of Man through increased exports and/or reduced imports, which will raise additional Government income to fund public services. 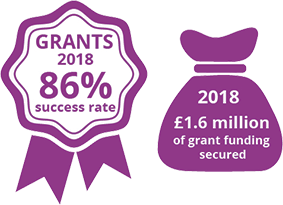 The Scheme offers enhanced grant support towards up to 40% of eligible expenditure up to a maximum of £25,000 to start-ups, and existing small businesses. In particular, funds may be used to support businesses seeking a grant contribution towards certain approved research and development (R & D) expenditure. Start-Up Businesses may also be eligible for training and mentoring via the services provided under the Micro Business Grant Scheme.